Banks are going through significant changes. In consumer/retail banking, customers want multiple interaction and banking possibilities with a clear focus on digital and mobile banking services. We’ve mentioned the many transformational challenges for banks, from among others the customer perspective, previously. They are joined by an increase of both usage of FinTech products and consumer trust regarding the providers of such FinTech solutions and services. No wonder that FinTech is among the hottest ‘terms’ in banking but also in insurance and financial services overall. Blockchain technology: are you ready for huge growth (and some concerns, confusions and hype)? 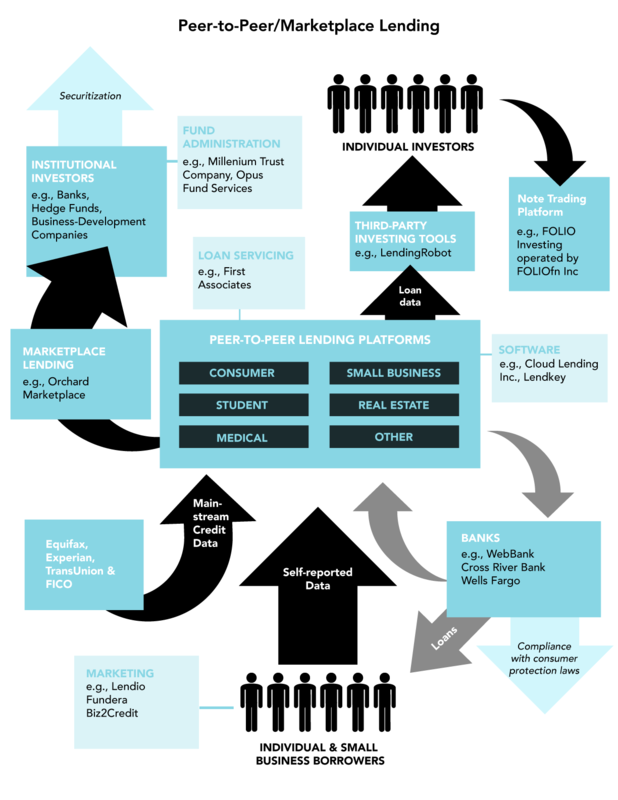 Marketplace lending, peer-to-peer lending and crowdfunding: for the shorter term? FinTech: why now – and how do/will financial service firms react? FinTech technologies, adoption and evolutions: what’s next? FinTech, short for financial technology, is not just about innovative or so-called disruptive startups, even if today they are really a key part of it. FinTech is a broader category that is clearly shaping the future of financial services, beyond the bank customer level. Having said that, the 2016 edition of the World Retail Banking Report, an annual must-read by the EFMA and Capgemini is clear about the impact of FinTech firms, among others from a banking customer perspective. 80% of bank customers feel FinTechs are providing a good experience. The 2016 World Retail Banking report states that bankers underestimate the impact of FinTech firms on their customers and shows how these customers feel about FinTech services. Almost two-thirds of customers across the globe are already using FinTech products or services. 81 percent of FinTechs offer faster services in the perception of customers. Illustrating the underestimations of bankers: only 36 percent of bankers feel the same. A large majority of customers feel FinTechs are providing a good experience (80 percent). Only 40 percent of bankers believes the same. Note that in the context of the World Retail Banking Report 2016 we talk about FinTechs as these disruptive newcomers, which in reality are a significant part of FinTech overall as mentioned. The challenges are clear. Banks are not only confronted with changing customer expectations as tackled earlier. They are not just challenged by changing regulations, cost and risk issues and legacy IT and back-office challenges. They are confronted with a myriad of changes and evolutions with FinTech and FinTech firms becoming increasingly important. And they do know it and adapt accordingly as you can, among others read, in our analysis of the World Retail Banking Report 2016. The evolutions regarding the technologies, companies (start-ups and incumbent initiatives), market dynamics and overall FinTech picture move so fast that keeping up with them is almost a full-time job. Fortunately there are several excellent sources and there is a strong FinTech and InsurTech (short for insurance technology, indeed) community on Twitter and elsewhere in case you want to really remain fully up-to-date on all evolutions (just see what happens when you use the hashtag #fintech nowadays). What’s for sure is that, despite the reported underestimation from the World Banking Report, things are changing fast. The attention for FinTechhas reached a tipping point in 2016 and the banking industry is clearly starting to take FinTech companies seriously, while they also invest more in financial technology as such and in several cases have developed innovative services themselves or started collaborations with FinTech providers and even started acquiring and investing in FinTech startups or innovation hubs. However, they are not the only ones. Also the moguls of the online world know what’s at stake. FinTech, as said, covers a broad range of technologies and financial functions/domains/activities/sectors. You might have seen one of those many FinTech landscape, ecosystem or scene infographics, mentioning several start-ups in diverse activities, ranging from good old e-commerce, payments and consumer banking to lending, crowdfunding, blockchain, financial security and much much more, such as the one below from Venture Scanner. By the way: Venture Scanner is one of these many resources (paying) in case you’re interested in the FinTech scene, with reports on 1826 fintech startups last time we checked (indeed a lot) in 16 categories which are often used: Banking Infrastructure, Business Lending, Consumer and Commercial Banking, Consumer Lending, Consumer Payments, Crowdfunding, Equity Financing, Financial Research and Data, Financial Transaction Security, Institutional Investing, International Money Transfer, Payments Backend and Infrastructure, Personal Finance Point of Sale Payments, Retail Investing and Small and Medium Business Tools. On the technology/evolution front we’ll start more modest by focusing on four areas: robo-advisers, blockchain, crowdfunding and marketplace/peer-to-peer lending. In April 2016 the CFA Institute (the global association of investment professionals) released the result of a survey (PDF opens) conducted among its members across the globe. Although there are significant challenges in several FinTech areas, depending on country and region, the research showed a focus on these four major technologies/approaches in the FinTech scene which are expected to have the greatest impact on the financial services industry, according to its members. However, there are some remarkable differences between the four if we compare the reported impact expectation 1 year from now and 5 years from now (with now being the time of the survey). Two technologies are expected to have a greater impact 5 years from now than 1 year from now. The absolute leading position is for robo-advisers. The majority of respondents picked robo-advisers as having the greatest impact on financial services industry one year from now (37 percent of respondents) and 40 percent expects the same five years from now, making robo-advisers the leading technology by then too in the eyes of respondents. The four financial services industry sectors that are expected to be impacted most by robo-advisers or automated financial advice tools are asset management (obviously by far with 54 percent), banking (16%), securities (12%) and insurance (8%). The relatively small growth in the perceived importance of robo-advisers between 1 year and 5 years from now might be related with fears for risks regarding, among others, technical mistakes (flaws in the artificial intelligence algorithms driving financial advice algorithms), mis-selling of financial advice and, remember that we are in the financial industry, obviously privacy and data protection concerns. Another explanation for this small growth, however, is related with divided opinions on the impact of financial advice tools on market fraud / mis-selling and quality of service. The latter is very important, certainly in an industry where excellence of service is, well, the essential basis anyone expects nowadays. Also note that opinions on the impact of robo-advisers on several financial service sectors are quite different, depending on region. The most reported benefit of automated financial advice? Indeed, cost reduction as in most forms of automation, with a whopping 89 percent or respondents saying robo-advisers positively affect costs. Also access to advice (remember the channel-agnostic and demanding consumer) is a big positive with 62%, followed by product choice. The challenges for anyone looking at/working with/selling automated financial advice tools are clear: make sure perceived risks are addressed and make sure that robo-advisers lead to a clear and proven improvement of quality of service, customer experience and satisfaction, costs and business growth. Why else use them anyway? The market of robo-adviser fintech startups is challenged by an ability to scale and a rapid rise of robo-advisory services by incumbents. Moreover, wealth managers are not just disrupted, they’re also innovating and there is an increasing agreement that hybrid human-robo advisory services will prevail, at least in the near future. The rest is yet to be seen. The biggest grower is – how else could it be – blockchain technology. You can’t escape it: wherever you start looking at information regarding financial technologies, blockchain technology is there. Although blockchain ranks fourth with 11 percent of respondents in the list of technologies expected to have the greatest impact on the financial services industry in 1 year from now, respondents clearly expect the impact of blockhain technology to boom the years after. No wonder with so much talk, confusion, uncertainty and, yes, hype, about blockhain technology. The thing is that, while the attention and initiatives regarding blockchain in finance (and elsewhere) are booming, it is very hard to really understand, especially in the longer run. Sure, everyone more or less knows Bitcoin and how that works (blockhain technology enables it), but that is not what the financial industry and others are looking at. While virtual currencies do matter (some banks and institutions take initiatives), the real power is in how the underlying technology and mechanisms, the blockchain distributed database with its ledger, can and will change financial services. And the truth is that no one really knows for sure as we’re just at the verge of a blockhain ‘revolution’ as some call it. 30 percent of respondents expect blockchain technology, also known as Distributed Ledger Technology or DLT, to have the greatest impact in five years from now. Although that’s lower than robo-advisers it puts blockchain at the top of the expected importance growth curve and makes it the second most often reported technology in 5 years from now. If you ask us it will continue to boom and is at the beginning of the hype cycle so make sure you take a look at it, now and in the coming years. The expected huge growth of blockchain, so TODAY essentially the distributed database technology which drives cryptocurrency Bitcoin’s public transaction ledger and is seen as an enabler of many changes in financial technologies and far beyond, is related with the benefits and expected potential in many areas it offers. Blockchain, for instance, could totally disrupt clearing and settlement processes as we know them today in finance. Everyone agrees that blockhain will be big but there are as many questions as there are possible usages of it. Note that blockchain technology is not the sames as cryptocurrencies such as Bitcoin. Next on the list are crowdfunding and peer-to-peer lending. Virtually everyone is familiar with the concepts of crowdfunding (raising money from the ‘crowd’) and peer-to-peer (remember those old peer-to-peer LAN network technologies where two computers connect and “talk” without a server, well, here the peer is you and me and all of us with some peer-to-peer technology too) in general. In the FinTech Survey Report 2016 from the CFA Institute, 23 percent of respondents see marketplace/peer-to-peer lending as having the greatest impact on the financial services industry in one year from now. However, in five years from now that number drops significantly to 13 percent. Also crowdfunding is dropping: from 15 percent to 11 percent. In other words: crowdfunding and marketplace or peer-to-peer lending seem to be more or less important for the shorter term and both will be far less important than blockchain technology while they are still seen as more important in that short term. Obviously, these four technologies/evolutions are far from the only ones as you could read before. FinTech is a lot and it’s hot. In April, Accenture found that in the first quarter of 2016 global investment in financial technology ventures reached 5.3 billion USD – a whopping increase of 67 percent compared with the same period the year before. FinTech is gaining attention for many reasons. It’s not exactly as if several forms of it are new (think digital and mobile payments, for instance). As mentioned there is the increasing adoption and trust regarding FinTech from consumers, in the end the ultimate disrupters. Second and as a consequence, there is a very active startup and investment scene with FinTech hubs across the globe and incumbents and other firms taking initiatives to react in various forms and shapes. Next there are the many third platform innovation accelerators with technologies that enable newcomers to drive business models and approaches which are clearly pleasing an increasing number of ‘mobile and digital first’ consumers in ways they are getting used to and offering experiences and convenience that they didn’t see in finance for a long time. And of course there is the changing consumer as such, combined with business solutions that make lives of businesses offering or wanting to offer specific services or reengineering processes, cheaper, faster and better too. There are more reasons, some related with the specific financial service challenges in certain emerging regions (think mobile banking which is extremely hot in large parts of Africa). The main point, however, is that the attention for FinTech, as well as the scene, is growing fast for a number of concurring reasons, leading to a perfect storm and interesting reactions from banks and other financial service providers. While in some areas we see banks partnering with eachother to ‘fight off’ fintech start-ups or innovate themselves, others clearly chose the collaboration path and partner with FinTech start-ups. The best solution obviously is contextual: there is no one-size-fits-all. But one thing is for sure: you can’t be everything at the same time and in several areas collaboration and/or integration will be key and a way for several startups in the scene to survive those critical first years in an industry on fire. Banks and financial institutions, on the other hand will have to chose and think about both their core business and the partnerships/integrations they need to have in order to not be left behind. In the end, partnerships and integrations are inherent in today’s hyper-connected technology reality, business ecosystem environment, connected user and the digital transformation economy as such. Previously we offered a categorization of FinTech as it’s often used and looked at four technologies/evolutions, based upon the report of the CFA Institute. However, as mentioned, the CFA Institute is an associaton of investment professionals and obviously there is much more in the world of finance than investment management. So, while the four technologies/evolutions in FinTech we focused upun thus far by definition are deemed important by, among others, investment pros (certainly robo-advisers, designed for asset management), we need to look at other financial technologies. Global investment in financial technology ventures tripled to $12.21 billion in 2014, clearly signifying that the digital revolution has arrived in the financial services sector. More. We won’t always follow the often used categorizations as that would make us focus to much at the technologies and fintech firms, which is not our purpose. Our goal is to tackle an increasing list of technologies which are used in financial services in order to achieve a clear business goal, starting with those that de facto respond most to current challenges, opportunities and evolutions, mainly from the consumer and thus consumer/retail banking and insurance side (some links regarding these challenges below this page). So we will indeed be covering things that might sound less techhy than, for instance virtual currencies or robots sitting behind a bank’s counter as happens here and there. Think about mobile wallets, personal finance tools, digital payment systems and mobile banking platforms, to name a few. On top of that we’ll tackle some key technologies which are essential outside of finance too and focus how they are used in financial services, including cloud computing, the IoT and artificial intelligence. Welcome to a hyper-connected world. After all, those technologies are not just used by consumers but also by financial services firms and obviously the real FinTech companies who built their solutions upon these and other technologies. Moreover, it’s safe to say that there will be more overlaps and collaborations between traditional financial service providers and FinTech. If we look at financial services IT spending, poised to reach $480 Billion worldwide in 2016, according to IDC Financial Insights, we see that a huge portion goes to the so-called 3rd Platform technologies (cloud, big data/analytics, mobile etc.) in the context of digital transformation. As IDC stated end of August 2016, financial services, along with manufacturing and healthcare, is driving worldwide IT spending, which is forecasted to reach $2.7 Trillion in 2020 according to the research firm. The momentum is huge in the industry. The question is how that will translate into fintech investments, whether it’s through ‘own’ initiatives, Mergers and Acquisitions, investments in technologies of fintechs which decided to sell their services to financial institutions instead of to consumers, sometimes in whitelabel formulas, etc. While banks are not exactly known – in general – for rapid innovation it’s interesting to see which ones are moving fastest and taking initiatives to tap into the rather wealthy user base of FinTech lovers and how they will do it. Reality shows an increasing collaboration and digital banking ecosystem with partnerships, white label FinTech strategies, technological collaboration (this is the API economy) and more. If we look at retail banking, de facto the number one financial services segment where FinTech players today are most active, we see that according to the beforementioned Global Retail Banking Report 2016, 65 percent of responding retail bank executives see FinTechs as partners, rather than competitors (28 percent). Several other reports state that financial services firms are investing more in technologies to invest in the types of services FinTech offer or to be able to compete with them (although, again, collaboration will be key too). A UK survey from recruitment consultancy Robert Half Financial Services, published on August 31st, for instance states that 54 percent of surveyed financial service firm executives plan to increase, quote “investment in disruptive and innovative technologies over the next 12 months to meet the challenge of new market entrants”. In order to compete with FinTech pureplayers, these companies intend to boost their IT spend with 15 percent in the next 12 months (!). The reason Robert Half conducted the research obviously also has to do with a second “war” that is inevitably linked with the FinTech phenomenon. Quite some execs of financial services firms (85%) fear their ability to retain top performers. The FinTech industry indeed is attractive to many who have spent time in traditional financial service firms. Below is a list with the types of FinTech which are seen as new entrants most likely to cause disruption to traditional financial services companies in the next 12 months, according to the press release. The top 4 consists of online investment firms (26%), challenger banks (24%), peer-to-peer lenders (16%), online traders (13%). In this vast space which we call finance and the also vast space which we call financial technology, it’s important to see the full picture and connect the dots. Through all the FinTech noise it is hard for many to see what is important now and what might become important later or is less relevant for current and short-term innovation, transformation, business and of course the consumer/customer and how he is changing his behavior. Obviously, there will be differences, depending on, for instance, demographics, geographics and many other contextual factors. To stay tuned, sign up for our newsletter. If we look at the FinTech services which are embraced most we see that, according to the EY FinTech Adoption Index (conducted end 2015) the most used FinTech services respectively are money transfer/payment, savings/investment, insurance (for instance, telematics, often in the context of new pricing models) and borrowing. The same report by EY, offers quite some insights into the adoption of FinTech among consumers, the types of consumers which are more interested in which services, the drivers of FinTech adoption and the reasons why consumers DON’T adopt FinTech services yet. In the press release EY sent out to announce the FinTech Adoption Index, the company stated that 15.5% of digitally active consumers used at least two FinTech products within the last six months and expects it to double by the approaching end of 2016. Note: with FinTech products or services EY means service products which are not developed by a bank or insurance firm but by an online firm, indeed FinTech as the online startup and less startup scene. Stay tuned for more and sign up for our newsletter.